There is a lot of information out there about how often to share new blog posts. But what about what’s best for your business or blog? 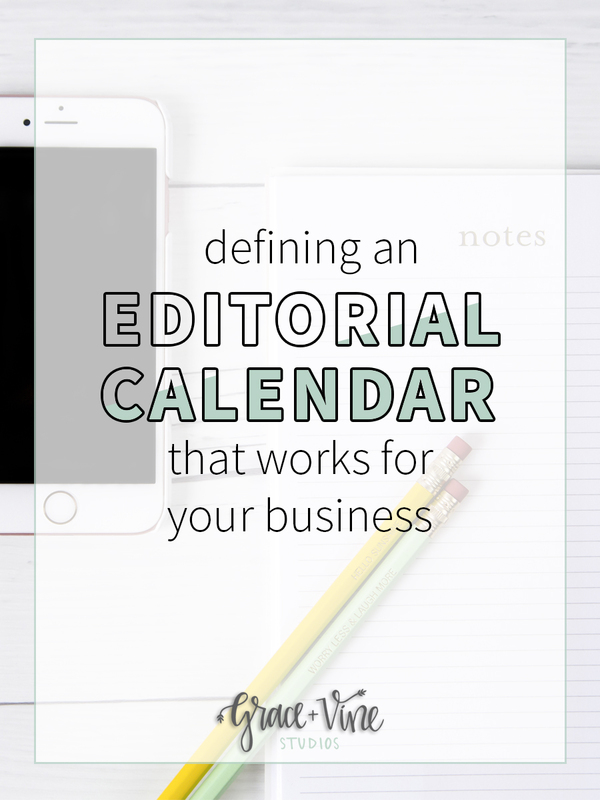 Here are my tips for defining an editorial calendar that makes the most sense for your business! 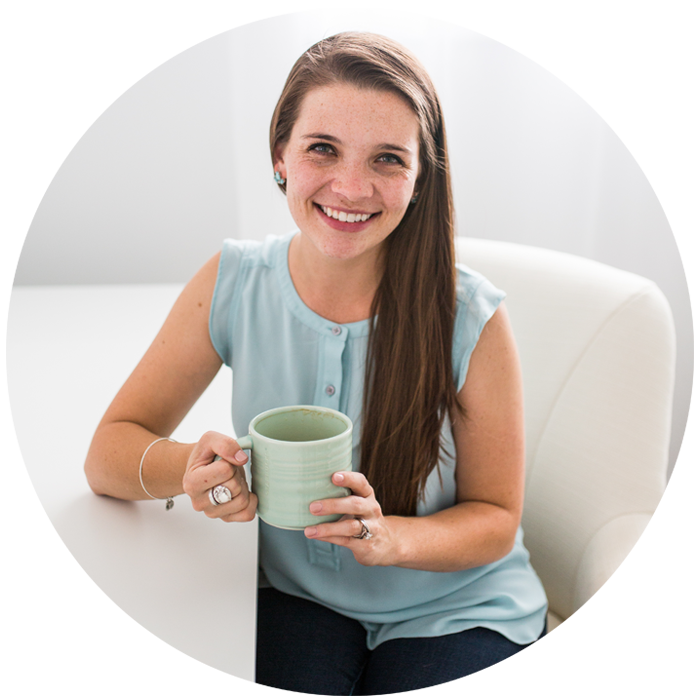 When I first started blogging, the consistent advice out there was content, content, content. 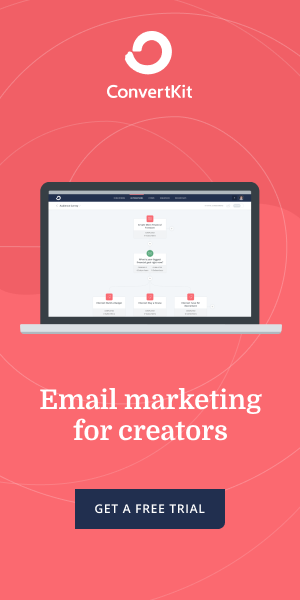 Every thing I read talked about how more content would drive more traffic to your site. It makes sense, on the surface. But what I found is that focusing on more content, ended up resulting in content that was simply fluff. It wasn’t content that was useful to my audience. On my food blog, A Joyfully Mad Kitchen, I published an article a while back titled Why I Stopped Posting Five Times a Week (and you should, too!). The post talks about this idea that more content is better, when in reality you may actually be hurting your website by posting too much. When defining your editorial calendar, it’s really important to think about this. Can your readers handle five posts a week? Can you as the blogger handle five posts a week? I’m a big believer that more content, yes, is important, but what’s most important is that you’re published quality content instead of just fluff to fill up your blog feed. Truthfully, at any given point in time, I have about 100 blog posts ideas swirling around my brain. You can blame that on my dreamer spirit that is always thinking of the next thing I want to do, but when it came down to planning my editorial calendar for 2017, I didn’t base it off of how many ideas I had. If I based my editorial calendar each month on how many ideas I had, I probably would end up with zero posts at all (trust me, I’ve been there!). As a creative entrepreneur, it’s so easy to get overwhelmed with ideas even though they may all be great ideas! The fact of the matter is, as a creative entrepreneur, I have a million hats I wear each day and a work load that’s bursting at the seams if I’m not careful to be effective with my time. On top of trying to manage an editorial calendar month to month, I’m also working on a full design client load building custom WordPress websites for some of the best creatives and bloggers I know, keeping up the administrative side of my businesses, being a book keeper managing invoices, and the list goes on. So, defining an editorial calendar starts right there. It starts by deciding how much you can handle. Because if you budget for writing more blog posts than you can handle, I can bet that one of two things will happen. One, your content and value will suffer because you just need to “get things done” without having the right amount of time to dedicate to writing quality content. Or two, you’ll become so overwhelmed with too much to do that you’ll do nothing at all. I write this from a place of experience. I’ve been in both of those shoes and it finally became time to put on my blinders, so to speak, to Pinterest and all of the “experts” who say to do more, more, more, and just do what works for me and my business. My hope, of course, is that as my business becomes better and better managed, I’ll be able to share more content. But for now, my focus is not on more content it is on quality content and delivering as much quality content as I can to my readers. So as you are thinking through your editorial calendar, focus on defining one that works for YOU and YOUR business. Less is more when it means you’re posting solid content that you readers can benefit from. There is no magic number for this, unfortunately. It all depends on your industry, your ability to create high quality content and your readers ability to it take in. The example I always give is don’t give your readers a fire hose worth of content to digest when they can only handle a trickling of water. Next I’ll be giving you an inside look at how I specifically create my editorial calendar at the beginning of every month! What tips do you have for planning and defining your editorial calendar? Thank you, I needed this! I have been struggling to stay afloat and I have come to the realization that I can only handle one-two post a week instead of 3-5. I have been telling my fellow blogging friends that I need to cut back, but they don’t seem to get that it is just too much and I cannot handle it. So thank you! I was the exact same way! It’s so hard to balance that much content sometimes. And it’s so much better to just do what you can. Thanks for the comment! I like that you emphasize only scheduling how much you can handle, rather than what is expected of you! As a travel blogger, I used to try to post Monday through Friday! I’ve finally stopped stressing and do it once or twice a week. I feel better and my content is better! I’m in love with your design. What specific theme is this by the way? I see Genesis theme at the bottom. Pardon me. I am new in blogging but I know there are child themes.